Elevators and escalators are machines that make transportation an easier task. Many people depend on them, like people who work in tall office buildings and don’t want to climb 30 flights of stairs. These machines are complicated and they have many moving parts, requiring regular maintenance and repairs. When they break down, the resulting injuries can be very serious. Owners are responsible for making sure these machines are working safely and will fix issues when they learn about them as soon as they can. Ignoring these problems puts those who use them in danger of getting hurt. Belsky, Weinberg & Horowitz, LLC, is among the few law firms in the Baltimore area with specific experience in elevator accidents and escalator injuries. We can help you get the compensation you deserve. One of our Baltimore elevator and escalator accident lawyers will hold the guilty party responsible for their negligence. Injured by A Malfunctioning Elevator? Our personal injury lawyers have obtained settlements and verdicts against companies that install and service vertical transports, such as Otis Elevator Company and Millar Elevator Industries. A lawsuit may also name a building owner or property management company that failed to address a known safety hazard with its elevator or escalator. When regular maintenance is performed correctly, elevators and escalators should not constantly break down. But often when a malfunction is reported, the elevator contractor may simply reboot the system without fixing the underlying issue. This temporary solution is often a precursor to a serious injury accident. These injuries can cause hospitalization and make people miss work. The stress of having to afford hospital bills without a regular paycheck on top of trying to recover from an injury would overwhelm anyone. That’s where we come in. Belsky, Weinberg & Horowitz, LLC will help you get financial support so you can focus on your recovery in peace. You shouldn’t be held responsible for the injuries caused by an elevator or escalator accident because they weren’t getting the proper maintenance. Our law firm will investigate your case and determine how the accident occurred. Our attorneys are familiar with technical service requirements and we know the industry experts. 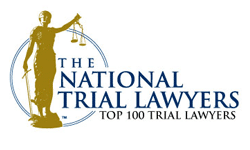 Our experience in this niche area of the law works to your advantage in holding the parties accountable, in negotiations or in court. Call 410-234-3992 or toll free 800-895-5333, or contact us online, to set up a free consultation. You will speak with one of our elevator and escalator accident lawyers. Together, you’ll go over your case and discuss what the best course of action is for you. We have six convenient office locations in Maryland.